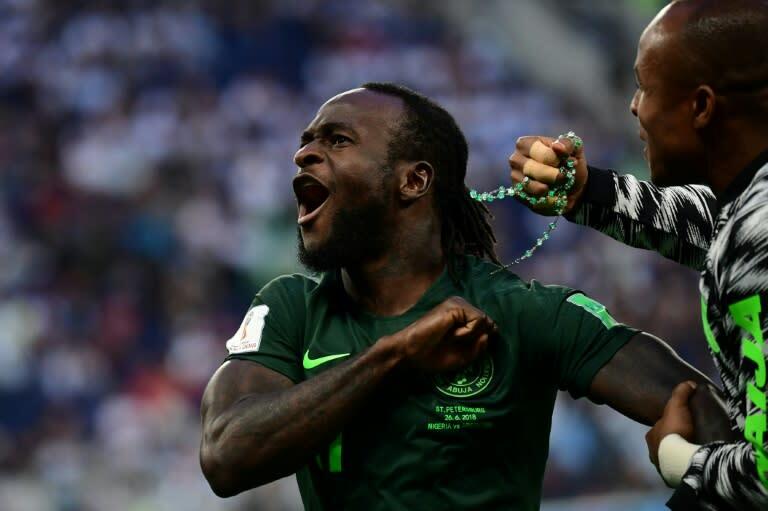 Chelsea and Nigeria winger Victor Moses, who played in the 2014 and 2018 World Cups, announced his retirement from international football on Wednesday, saying he wants to develop his club career. The 27-year-old has played 37 times and scored 12 goals for the Super Eagles. His last international appearance -- and goal -- came in Nigeria's 2-1 defeat to Argentina in the group stage of the World Cup in Russia where the African side failed to make the knockout rounds. "I would like to announce that after much thought I have made the decision to retire from playing international football," Moses said in a statement released on his Twitter account. "I have experienced some of the best moments of my life wearing the Super Eagles shirt and have memories with me that will last a lifetime. "However I feel that now is the right time to step away in order to be able to focus fully on (my) club career and my young family as well as to allow the next generation of Super Eagle stars the opportunity to step up and to flourish. "I have already spoken to the manager (Gernot Rohr) by telephone and would like to say thank you to him and his staff, the NFF (Nigeria Football Federation) and all of my team-mates for all of their support over the years."